Online furniture retailer Furniture123 offers a wide range of wood products in all the seasons fashionable dark finishes. Whether it is exotic Mango, rich Cherry, good old fashioned Oak, or sultry Walnut, Furniture123 has these and many other finishes in traditional and contemporary designs. Dark wood doesn’t have to be imposing. 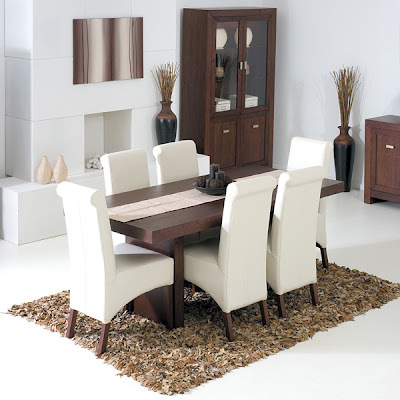 This large dining table, with its long top and wide slab style legs in wild cherry veneers, is balanced by cream leather roll back dining chairs. This Atlas dining set is part of a large range for the dining room and living room. Matching furniture ranges offer a choice of combinations to fit any size room. Bora combines rich Wenge and Caramel finishes, creating an attractive range that would spice up any bedroom. Each additional piece adds to the Oriental inspired look. 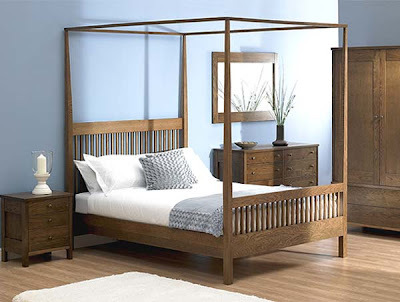 Oak is offered in a variety of stunning shades this season, and this four poster bedstead is no exception. The Newhaven is a Shaker style bed with a simplistic elegance that is warmed with a dark stain and oiled finish. 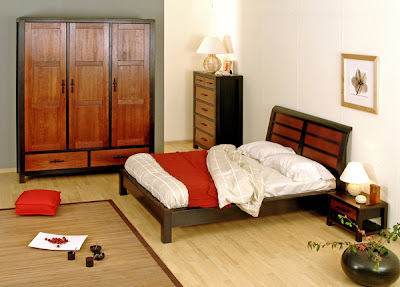 The Newhaven is part of a large range of bedroom furniture.